Has it really been 14 years since the Jars of Clay song “Flood” flooded the airwaves? I can remember as a 16 year old hearing that song on the radio and then purchasing the single cassette (you read right, a cassette single) from Wal-Mart. 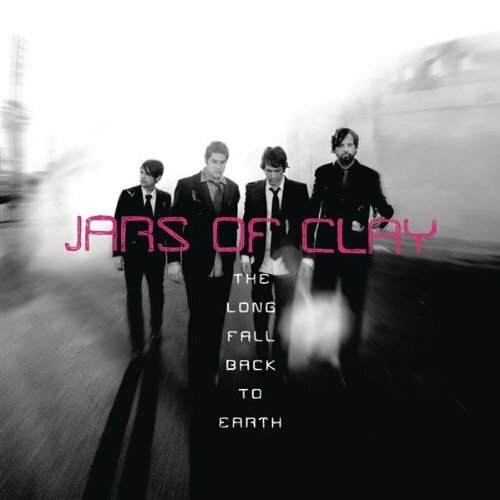 Their first full length CD, “Jars of Clay.” still ranks as one of my favorites- both for the songs and for the memories it brings back of my high school years. Other than that initial CD, I have not really been a Jars of Clay fan. The CD begins with a long instrumental introduction (2:19 long). I’ve heard people say it reminds them of something that Coldplay would do. It certainly has that feel, but after the intro Jars gives us an 80’s inspired (in a good way) indie rock album that I really have not been able to put down. Let me highlight a few songs that stand out. Two Hands is a song about wanting to regain intimacy with the truth. Jars sings I’m a liar who thirst for truth/and while I ache for faith to hold me/I need to feel the scars and see the proof. There is a longing to worship- If I had two hands doing the same thing/lifted high, lifted high. Heaven finds the guys singing about how we are to be little bits of heaven here on earth. And Find, glowing on the inside/what’s growing on the inside/heaven’s not that far/glowing on the inside/showing on the inside/it’s growing where we are. This song has a great 80’s vibe to it! Headphones is a song that address the disconnect that we experience in our society. We live in a world where we put our headphones on to drown out the noise of tragedy, the reality and messiness of relationships. I don’t wanna be the one who tries to figure it out/I don’t need another eason I should care about you/ You don’t want to know my story/ You don’t want to own my pain/Living in a heavy, heavy world/And there’s a pop song in my head/I don’t want to hear it/. Where Headphones addresses the disconnect that is experienced relationally, Closer a love song about, well, getting closer! Jars uses some creative lyrics (almost cheesy, but hey, it’s a love song!) You’re my shirt iron-on, I’m the tick, you’re the bomb/You’re the L and the V, I’m the O and the E/Am I speaking clearly?/If you want my love, well you’ve gotta get close to me/Ooh, if you want my love…/ I don’t understand why we can’t get close enough/I miss the shivers in my spine every time that we touch. Hero explores our need for someone to save us. While none of the songs are explicit about God, this may be the closest. And we need a hero/to save us from ourselves/we need a hero/to save us from ourselves/save us from ourselves/save us from our fear/when the sirens wail, we need a hero here. While just a taste of the songs that are present on Long Fall, this CD has fourteen songs on it clocking in at 59 minutes. Jars explores themes of grace, love, worship, hope, forgiveness, and the need for salvation. This has been a great CD musically and lyrically to keep going back to!